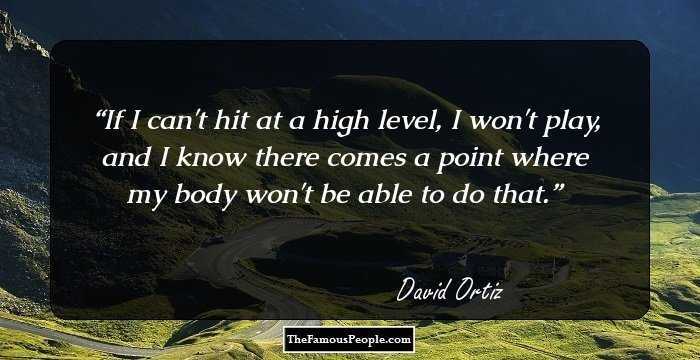 A collection of famous quotes and sayings by David Ortiz on baseball, tough-times, failures, success, love, feelings, sports, people, responsibility, game, and family. David Ortiz is an illustrious Dominican-American former MLB hitter. He holds the feat of being the first baseman to have played twenty seasons, especially with the Boston Red Sox. He had also been a part of Minnesota Twins. In 1992, he was originally signed by the Seattle Mariners, but in 1996, he was traded to Twins where he played six seasons with the team. In 2003, he was signed with the Boston Red Sox. 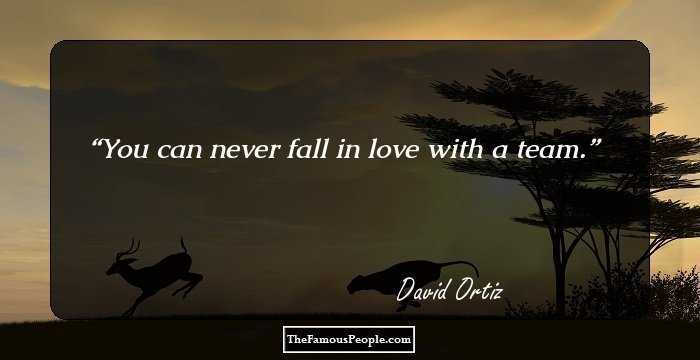 Following is a list of thought-provoking and inspiring quotes and sayings by David Ortiz on baseball, life challenges, losing, winning, children, teammates, ideas, mother, boston, people, country, believe etc. Nobody is going to dictate our freedom. 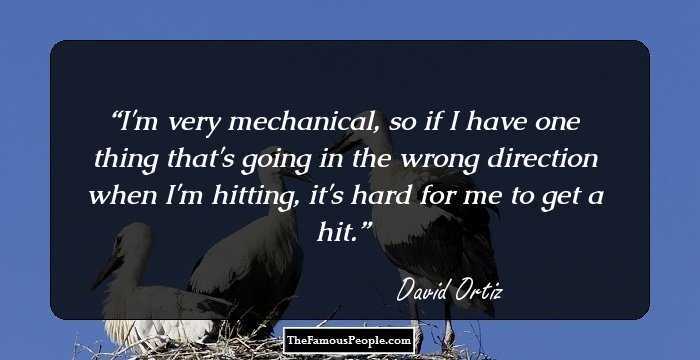 I'm very mechanical, so if I have one thing that's going in the wrong direction when I'm hitting, it's hard for me to get a hit. You can never fall in love with a team. 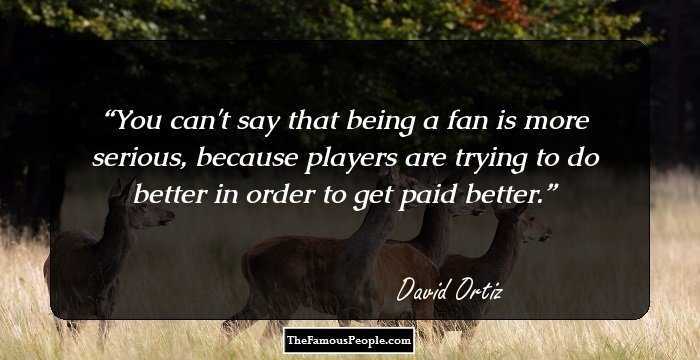 You can't say that being a fan is more serious, because players are trying to do better in order to get paid better. If I can't hit at a high level, I won't play, and I know there comes a point where my body won't be able to do that. 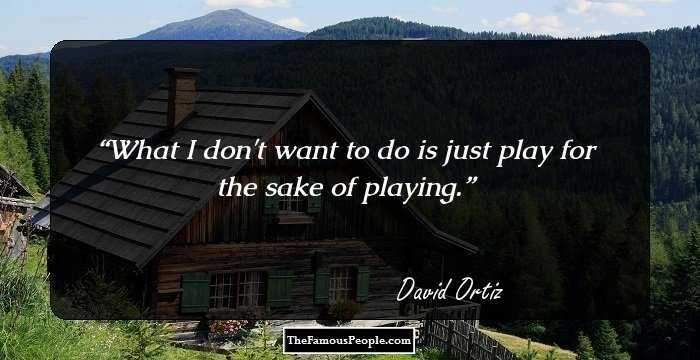 What I don't want to do is just play for the sake of playing. You don't get better as you get older in your career. It's not natural to have your best years late in your career. So I'm trying to do whatever I can to keep my body feeling good for as long as I can. The fans know that I don't give at-bats away. Through the years I've been getting better and better and better, and it's what you learn though the seasons. I stress a lot, sometimes. My parents always told me to stay away from trouble. When I moved away from them at a young age, I was fine because they taught me how to do everything right. My whole career, my swing has always been the most important thing to me. Even when I'm taking a shower, I work on my swing. I never thought that buying supplements and vitamins, it was going to hurt anybody's feelings. I just come do what I've got to do, play my game. And I don't worry if anybody likes it. I know in my situation, my mind works more than everything else. I've been like that my whole career. My teammates are the best. 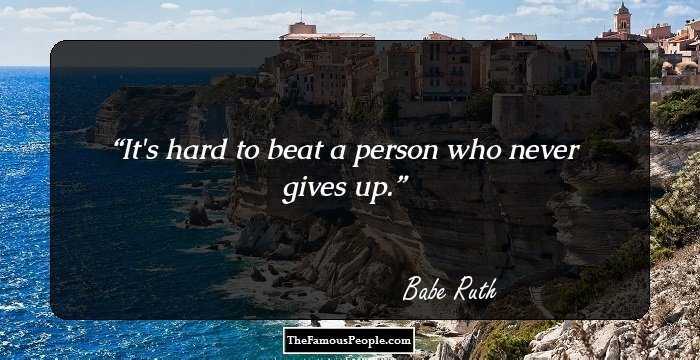 What happened to me should teach everybody that you should never give up on anybody. I'm an easy person to get along with. 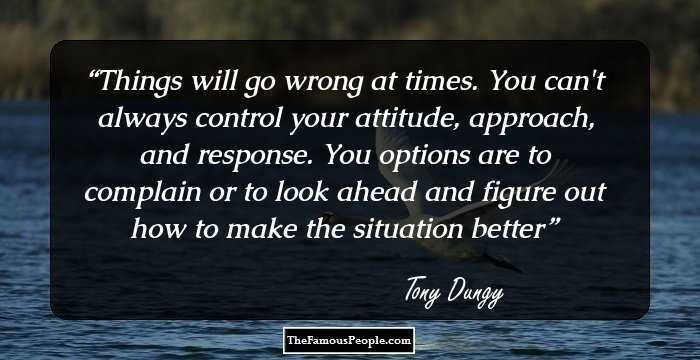 Even when I struggle, I have the same attitude. I just swing hard in case I hit it -- that's it. I guess the rules aren't for everyone. A lot of people write books not at the end of their career. Why you gotta wait until then? When you're momentum's going, that's when people really want to get to know about you. Everybody goes through some tough times in their life, no matter what you do. Man, I've had my tough times. I try to be as quiet as I can at the plate, but still aggressive. I try to do things the right way. 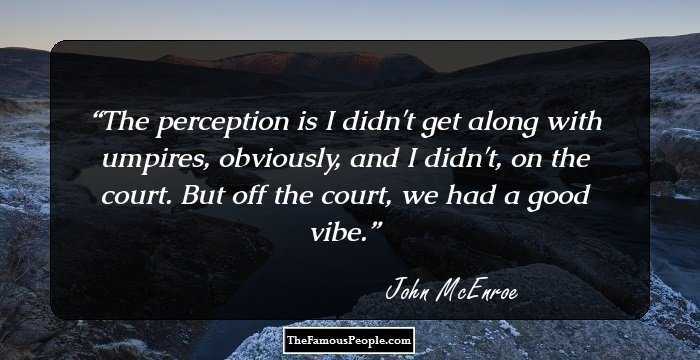 I'm a guy that people look at me not only as a guy that hit the ball. Sometimes when you're fighting, fighting, fighting, the mind needs some time off and you regroup and get back to normal. Trust me, I play the game for the fans, my family and myself. Some people think I'm mean, until they get to know me. I've always been my own hitting coach. I'm the kind of a player who, if you give me something good to hit, I'm going to swing at it. 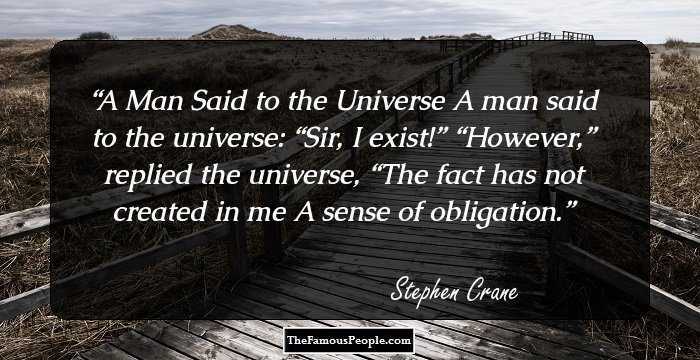 Otherwise, there's nothing else you can do. I'm just another player that comes in and comes out. Everybody's time is up at some point, I don't think that's my problem. I'm just going to keep on trying like I normally do. I'm the same guy I've always been. I'm the same guy now as when I was hitting 50 home runs. I don't change. I come to play everyday. Whatever country you go to, you need to definitely follow the rules. So I believe it's very important for people, wherever they go, any immigrant should know or should try to learn something about the culture. I'm just trying to work hard every day, trying to be a better player and one day, to be right there with them, one of those special hitters. This jersey that we're wearing today doesn't say Red Sox. It says Boston. I just love the feeling from the fans and when I'm walking on deck I can hear people screaming and wishing you the best. That puts you into the game more than anything. All I like to do is work every day and have an idea what I want to do. My mom, she wasn't like a baseball mother who knew everything about the game. She just wanted me to be happy with what I was doing. I swing hard all the time. That's what I've done my whole life-hit. I just want to play baseball. I'm the kind of guy that I never forget my teammates. This is our f---g city. And nobody is going to dictate our freedom. 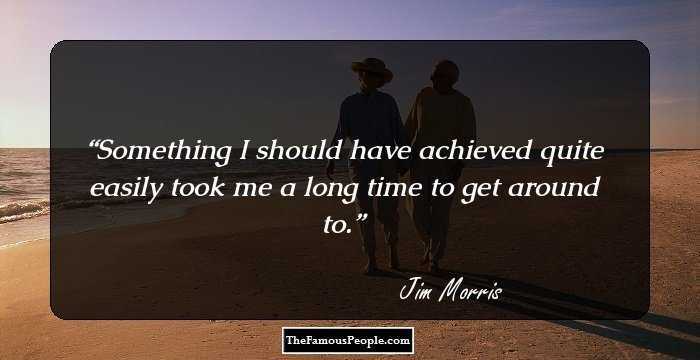 I'm going to be done when I've decided that I'm done. You just have to go as far as you can go. Everyone works his way up. They pick me [to be tested for steroids] every time. I don't know why. I don't know if it's because I'm a big guy, or what, but all I know is all they are going to find is a lot of rice and beans. Everybody has something to prove each year. Everybody has a responsibility in this game. Even the batboy. I'm not thinking home run, I just want to put a good swing on the ball. When you go looking for home runs, you get off of your swing. So you don't think of homers when you go up to the plate. Life is a challenge that you need. There's things in life that are going to throw you into the ground, but if you learn how to get up, that means you are not a quitter. My timing’s a little off. But I’m about to get hotter than Jamaica in the middle of August. Sometimes you just don't feel the same everyday, it doesn't matter what you do, but when you have people looking forward to seeing you perform for them, that puts you in the mood, and that's natural in Boston. 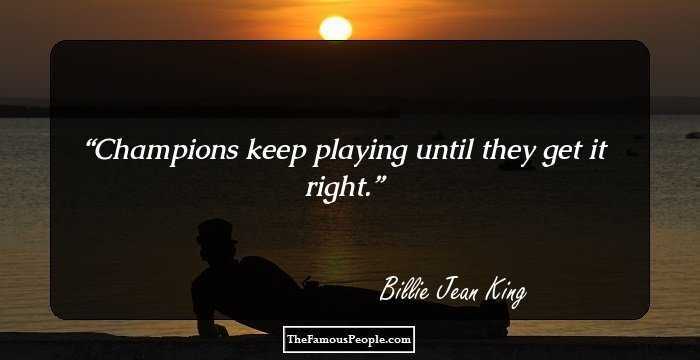 That's why it's such a special place to play. The DOCF all started when I made a trip to a local hospital in the Dominican Republic. I was visiting children who had received life-saving heart care operations. I couldn't help but think that in another life, one of these kids could be my own son. 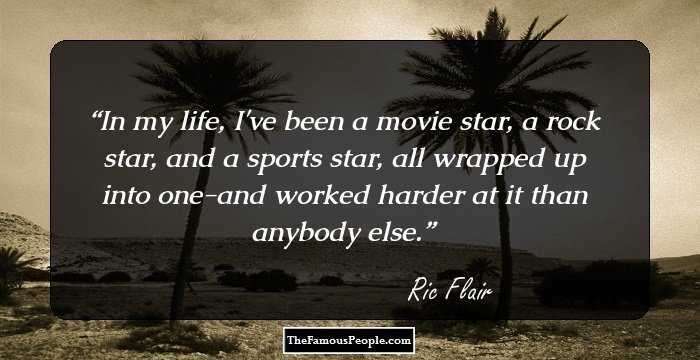 If it wasn't for baseball, I may have remained in the Dominican Republic and who knows where life would have taken me. It was then that I knew that I had to use the gift that I received, to play baseball, to do whatever I could to give back. I don't try to hit the ball 500 feet. It looks good when you hit it 500 feet, but as long as it goes over the fence, it's a home run. When you swing hard, it takes a little bit of recognition away from you. The power you're trying to increase - you're not all the way through it with your vision. I start thinking about life after death. I've got to quit thinking about it because it's very deep. Very deep. Sometimes you start thinking about it, and you don't feel like you want to be alive, so I don't like to get all quiet.